Show off your cutting machine's capabilities with this intricate design! It looks lovely in a variety of colors and is perfect for stamping a sentiment on. Simply size each SVG file to the dimensions given in your download. Finished card measures 5.7" x 5.7" and comes with an envelope to fit the card just right. 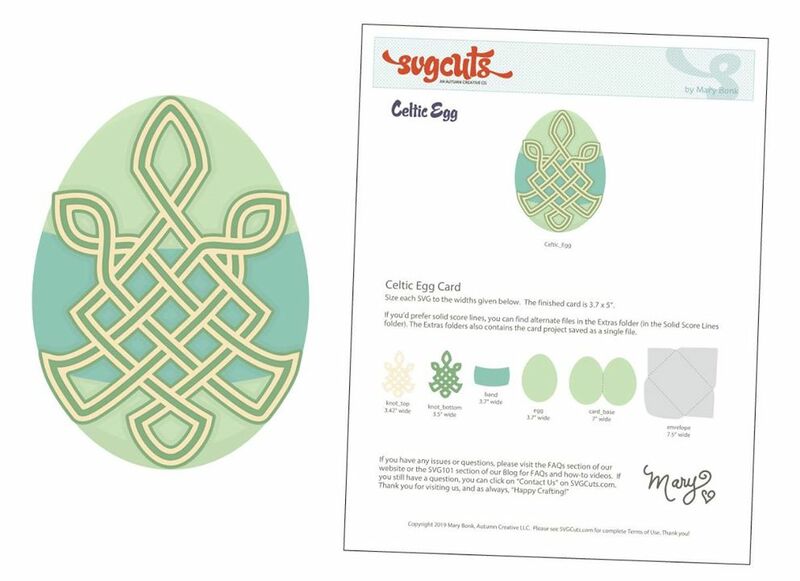 Use this pretty Celtic knot inspired egg design element to welcome Spring! Cut it in greens and yellows for a Saint Patrick's look, or in other pastel colors for more of an Easter look. You can easily turn this into a card by adding the "back" of the card which is included in the Extras folder of your download, as well as an envelope that fits perfectly! Download yours here! 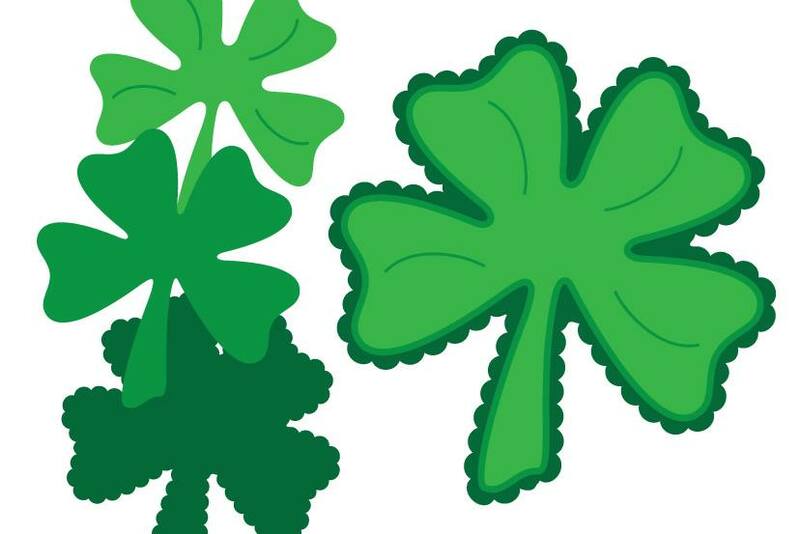 Make sweet Irish decorations this March using our scalloped shamrock! If you like making things seasonal and festive at home, you'll love making some of these in various sizes to display around the house. Make a little banner, or hang some from thin green ribbon. Use glitter paper for one of the layers, or emboss the top layer to add texture. Download yours here! 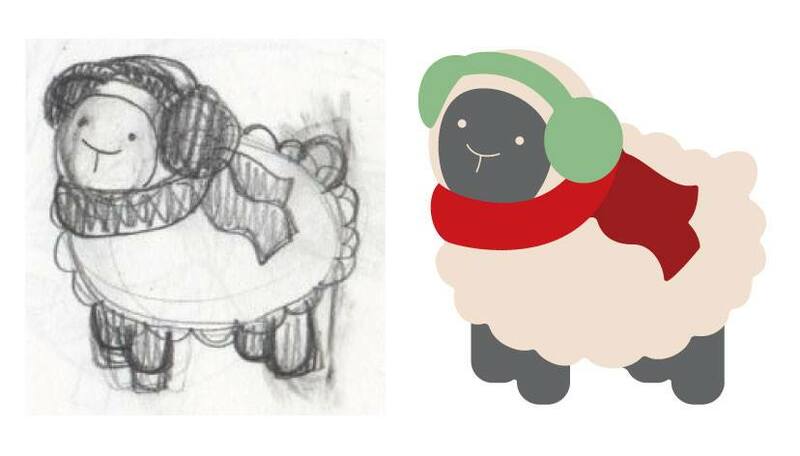 This super cute sheep is all bundled up for chilly weather. You could even emboss his scarf with a cute argyle or dots pattern. Download yours here! 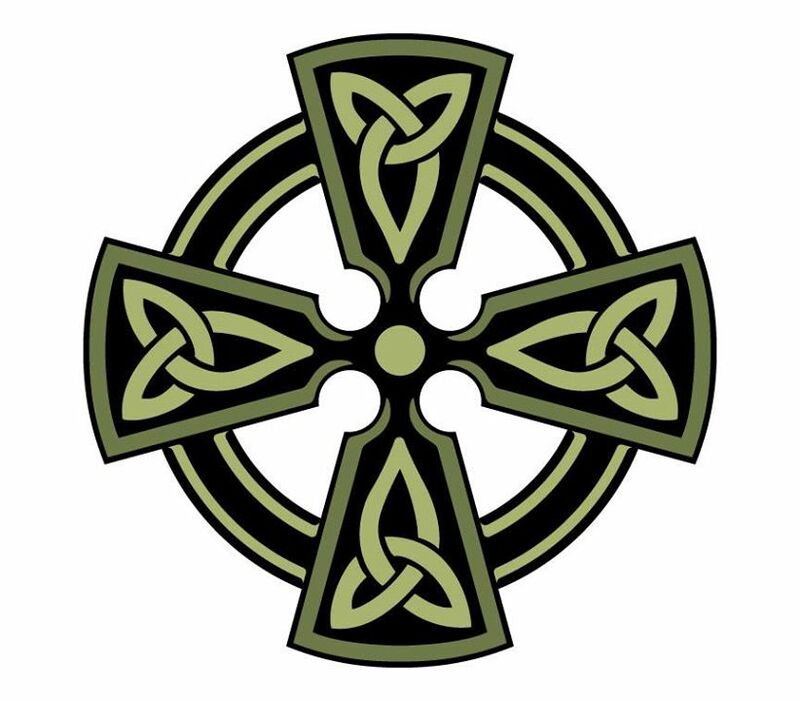 This multi-layered Celtic Cross is perfect for creating a card or adorning a gift bag for a special friend. Add it as an accent to a scrapbook page about travels, family history or a St. Patrick's Day event! Download yours here! 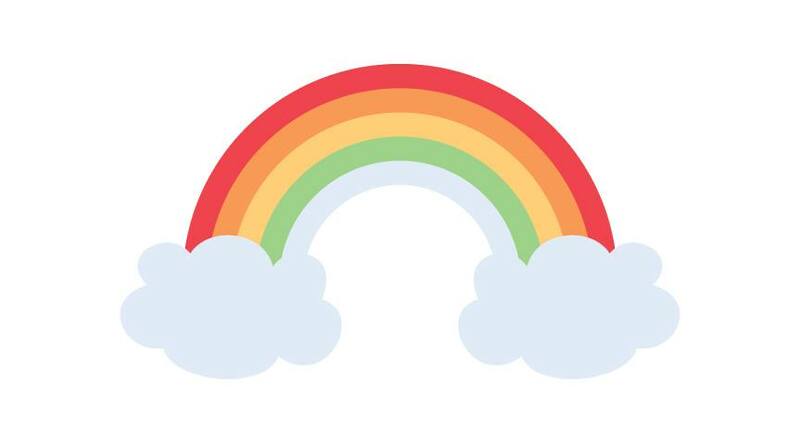 Brighten up any Spring or lucky Irish project with this cheerful rainbow! You can also cut it without the clouds, and you can use it paired with some word art on top of it, or add a few lucky shamrocks and clovers. Download yours here! To celebrate, we are offering 25% off EVERY SINGLE DESIGN in the Saint Patrick’s Day category! Here are the designs that are on sale and available as a complimentary upgrade for current owners! 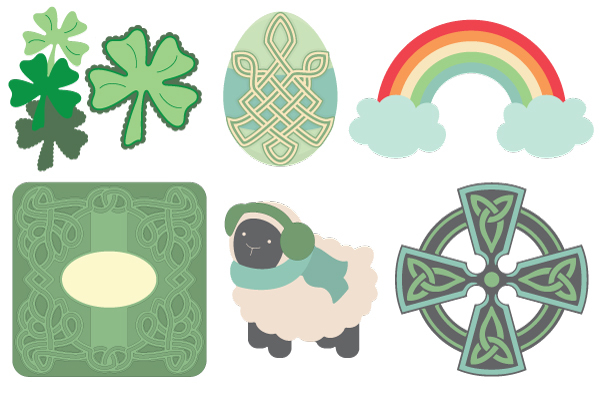 Visit our Saint Patrick’s Day category to browse these designs! If you’re already the proud owner of any of these designs, you can receive the updated version for free! Simply Contact Us with your Order Number to get yours at no charge. If you’ve already recently-received an updated copy of one of these designs from me, you have the latest version. If you've saved your Order Confirmation e-mails from us, searching your e-mail for the name of the SVG Kit you're looking for in quotations may be the easiest way to locate your order number. Or you can log in at www.svgcuts.com and visit My Account and go to Order History (click on “SHOW ALL ORDERS”) to see a list of your past orders. You can also click on My Collection to see a list of all of our products with a checkmark next to anything you’ve previously-ordered. Did you know that when you visit a product page (if you’re logged-in), the name of the product will have a checkmark next to it if you’ve already purchased it? Also, during Checkout, in your Shopping Cart, it will say “Product Previously Purchased” underneath the product name of anything you’ve previously purchased.